Type in your email address below to retrieve previous quotations. 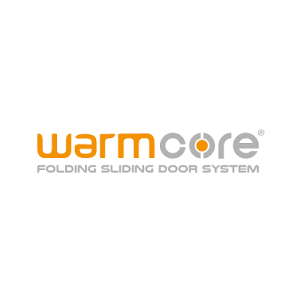 WarmCore bifold door products are designed to provide a highly flexible solution that allows for fast, simple installation. It is created with a high performance thermal core within polyamide thermal breaks to create a warm aluminium frame construction, unrivalled by our competition. What are the benefits of WarmCore’s Folding Door products? Save your clients money on their heating bills. Exceptional design achieves a U-value of 1.5 - 1.0 meaning maximum levels of heat are retained in the colder months, reducing heat loss and wasted money. Make your workload easier with our intuitive quick installation design. Our bifold door solutions are designed to be easy and efficient to install and homeowner disruption is minimal. WarmCore unique products have been designed to fit in with as many aesthetics as possible. No matter what design your customer's conservatory or garden has, or what theme their property has, WarmCore doors are guaranteed to fit in with the look to ensure your workmanship looks great to the eye. They are designed with true innovation to ensure that they are fully compatible with building regulations and a double-strength framework means secure and warm all year round. True elegance from start to finish. High quality, precision cut manufacturing provide slim straight lines and elegant aesthetics when installed. They display such elegance that even the seals and locks are not an eye-sore, while still retaining performance that is unmatched by our competition. Maximum flexibility from start to finish. WarmCore products are designed so even if you want a single door to an eight-panel sliding door, the finished result will please even the toughest of clients.